Arriving in Oaxaca, Mexico for an artist residency just after Trump was elected President, the threat of building a border wall loomed large. In response, I photographed beautiful, ancient and new walls in Oaxaca that honor the history, and architectural and artistic culture of Mexico. 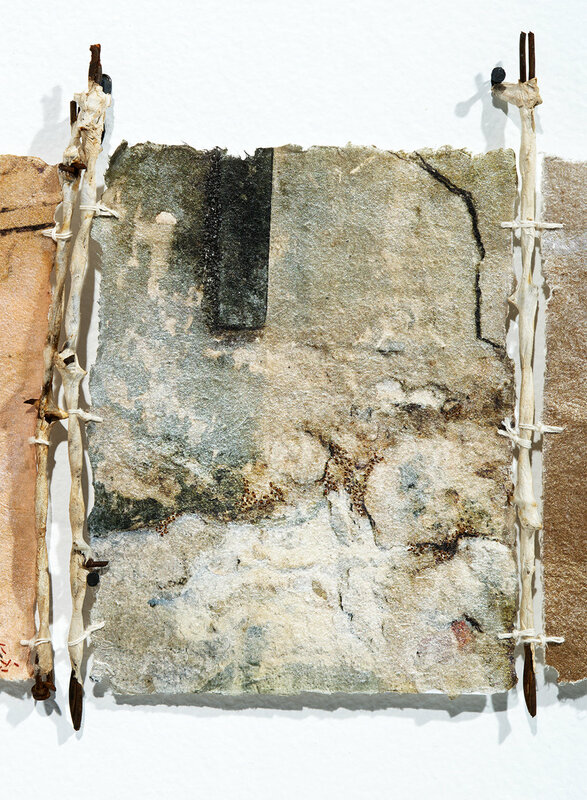 Printed on amate paper I made during the residency, I hand-stitched enhancements and memories into each “wall construction” with silk threads. 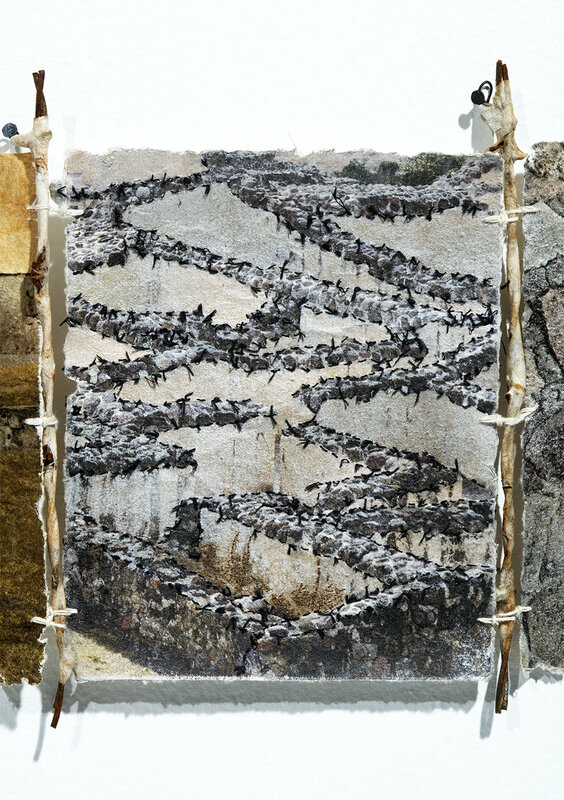 Wall Constructions-Triptych includes three enlarged images on amate paper with stitching. Wall Constructions-Installation was inspired by Rauschenberg's "Hiccups". The 35 individual pieces are joined by paper-wrapped barbed wire to create a 20 ft long "Oaxacan" wall and can be displayed in multiple configurations. ©2010-2019 teddy milder. All rights reserved.